Check out the resources below to help you use The Model to control your destiny and live the life you want. If you haven't read my introductory post on The Model, Your Magic 8 Ball – The Model, it's a great place to start! Check out these posts to learn more about The Model! How Can a Community Coaching Call Help Me Get Unstuck Right Now? What's a Community Coaching Call anyway? I almost forgot how wonderful my life is! Do you find yourself complaining about all the things going wrong in your life, and then have to remind yourself of this too? If so you are in good company. It's not because you are a negative Nelly. No, it's your brain doing it's job to keep you safe, but it hasn't quite adapted to live outside the cave yet. The Model - Q & A - The force lies within you, Yodas! 1. Coachee: You said the goal is not to feel good all of the time? Me: Right. Our circumstances are not always going to be pleasant and that’s ok. Often we think we have to change our circumstance to feel better, but that is not the point. 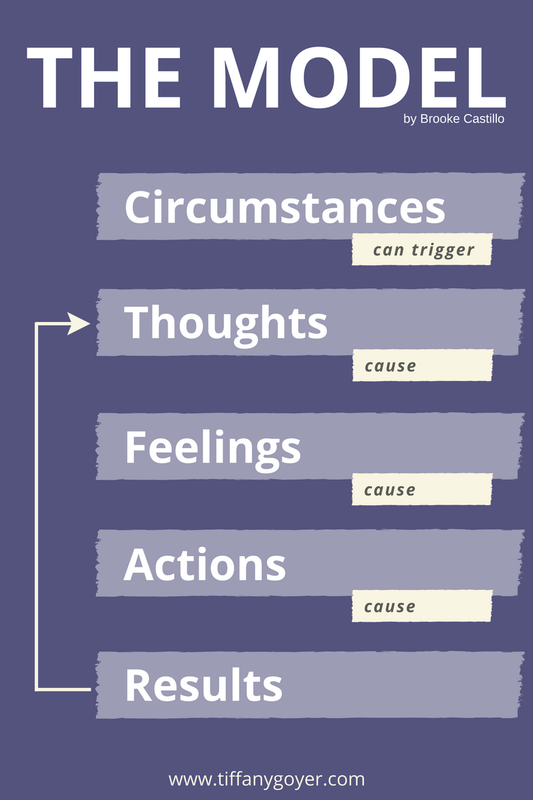 We can change how we’re thinking about our circumstances and that will change how we’re feeling, reacting and what results we’re creating for ourselves in that circumstance. I call it your Magic 8 Ball Tool. Because the results are so, so powerful. Are you creating the life you want? I will show you how... right here and now. We're gonna talk about the "Thought Model," and how to manage your mind and take control of your life. This WILL blow your mind. It includes space to write your responses for each step too. Do you ever wish you could change your situation? Or the circumstances that lead to you feeling frustrated, dissatisfied, stuck, fearful, confused, etc., or just too darn busy? I'm offering a Community Coaching Call every month (and it's free!) where I will show you how to use "The Model" to get the life you desire. I'll pick a couple participants to share during the call and we'll walk through the process together. It can actually be very helpful to watch someone else be coached because you can see things differently than when you're the one being coached too, so everyone will benefit! This is not a webinar designed as a secret sales pitch either. This is a real coaching call. I love The Model and the amazing way it can change lives and want to share it with all of you because I'm that passionate about it.